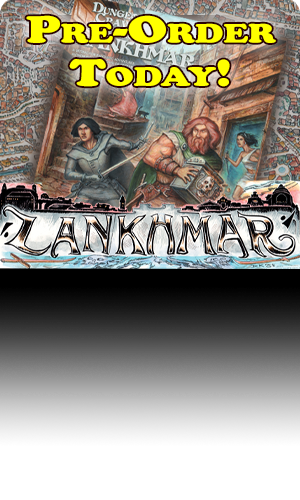 After travelling to the Plane of Time and rescuing their Chaotic companion Elrond, the party heads to the City of Saltmarsh for some much needed R&R. However, the City is soon besieged by an army of strange beings…and then things go from bad to worse as the mighty Wizard Calabraxis summons the Heroes to make amends for their looting and pillaging of his dungeon! Can they survive their deadliest adventure yet? 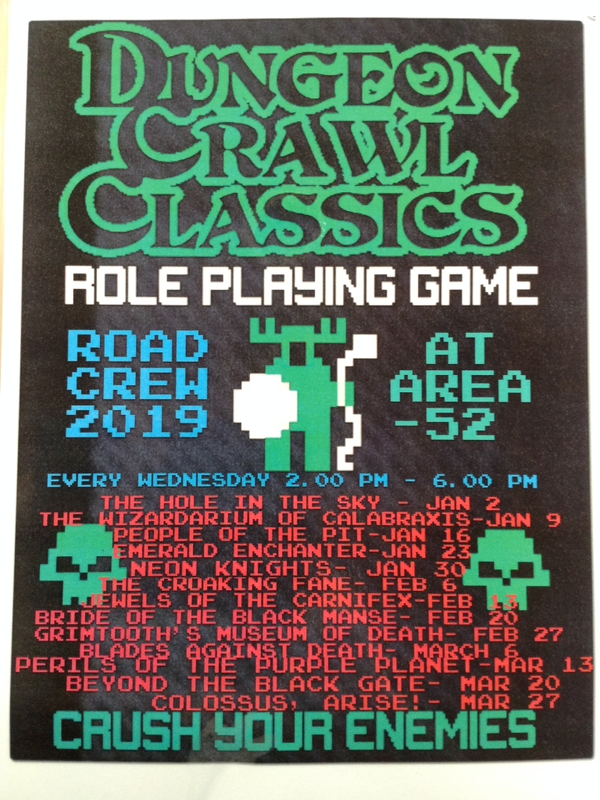 Find out upstairs at Area-52 Game Store (104 Elizabeth St, Hobart, Tasmania) at our Fifth DCC Road Crew session for 2019 – “Neon Knights”. Pre-generated characters can be provided – new players welcome!